Books, movies, music & life. 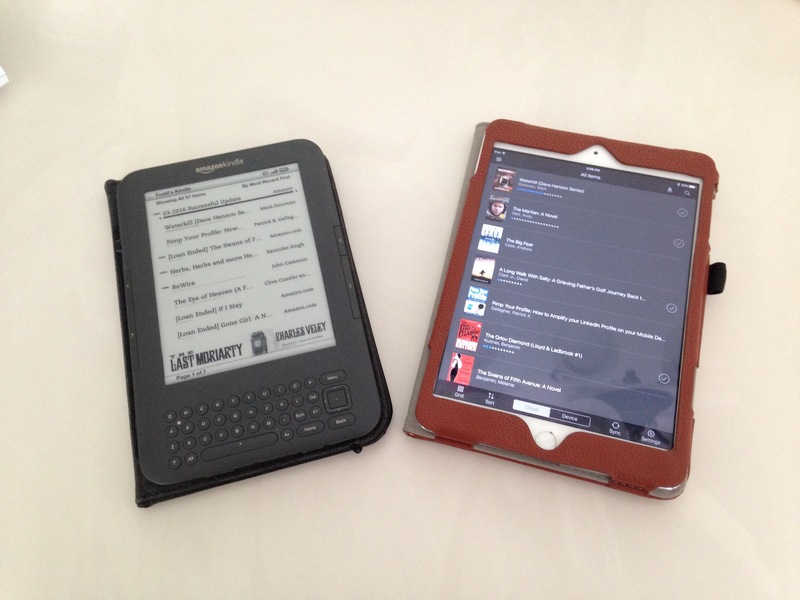 An early model Kindle next to an iPad mini. Today I received a reminder email that my original Kindle needed a software update by the end of the month or it would no longer work. I haven’t used it to read in well over ten-years but for some reason I keep it on the bookshelf in our bedroom. Yes I know I’m mixing my pronouns but my spousal equivalent gets upset when I forget we’re a we but I digress. Like most people I upgraded from the first-generation Kindle to the Kindle Fire. From there I began using the Kindle App on my iPhone while struggling with where to go from there. I thought long and hard about a Kindle Paperwhite but eventually went with an iPad mini. I do keep my Kindle Fire up to date and my wife uses it when she travels. So I thought I’d go old school and read on my original Kindle this weekend just to get a feel for how far the technology has come.